VIVE was the first system to offer full room-scale VR, allowing users to move around a space for a truly immersive experience. The brand needed to emote the boundless nature of a product that could only be believed when seen. 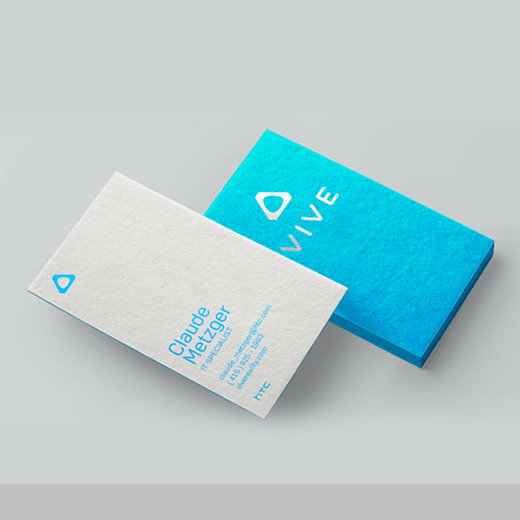 The VIVE logo is an equilateral triangle, representing the unity of technology, humanity and imagination and forming the foundation of VIVE. The sides come together to form a portal to the unique VIVE Reality experience. Its iconic structure affords the VIVE brand an adaptable and customizable visual language, allowing it to take on the properties of the context it’s in.